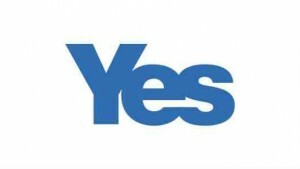 Campaigners for a Yes vote in next year’s Scottish Independence referendum have attacked the last minute decision to ban their presence at South Dunfermline Gala at the weekend. Yes activists believe that political interference may have been a factor in the decision to rescind their application for a stall a mere 24 hours before the Gala. “The gala is a really popular local event and we thought it would be a great opportunity to get information out to members of the public. I booked and paid for a stall weeks ago but was told with less than 24-hours notice that we’d effectively been banned. “I was told it was because of a lack of balance, as Better Together weren’t going to be represented. With more of their scare stories crumbling every week, I’m not entirely surprised the No campaign couldn’t get any volunteers to man a stall, but why should we be banned from attending simply because they can’t manage to put forward any positive case for retaining the union? Fife News Online attempted to contact the Secretary of South Dunfermline Community Council for comment but there was no answer. Fife News Online believes that the referendum is the biggest decision affecting Scotland for several hundred years. It is vitally important that people get the information they need to make the best choice possible for their families. We do not believe banning one side of the debate from any public event is warranted and they most definitely should not be punished for a failure on the part of their opponents to turn up and engage with the electorate.